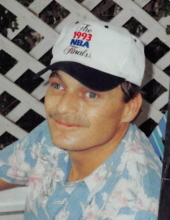 Alan Scott Wymer, 61, of Zanesville, died at 12:06 A.M. Friday, January 18, 2019 at Genesis Hospice-Morrison House, Zanesville. He was born June 25, 1957, in Painesville, a son of the late Carroll Wymer and Patricia Harbaugh Cullison. Alan was a printer in Arizona and a United States Marine. Surviving are a son, Carl (Tina) Wymer; three daughters, Alex (Charles) Miller, Linsey (Dennis) Grove, and Stacey (Chad) Tenan; many grandchildren and great-grandchildren; three brothers, Phil (Joy) Wymer, Aaron (Brenda) Wymer, and Curtis Wymer; two sisters, Carol Ann Horn and Cheryl (Larry) Temple; a step-father, Herb Cullison; and a step-sister, Frances Maxwell. In addition to his parents, he was preceded in death by a sister, Theresa Chambers. A Cremation-With-Care has taken place and a Celebration of Life will take place at BOLIN-DIERKES FUNERAL HOME, 1271 BLUE AVENUE, ZANESVILLE at 6:00 P.M. Wednesday, January 23, 2019. He will be laid to rest at Greenwood Cemetery, Zanesville. To send a note of condolence to the family, order flowers or comfort food, visit: www.bolin-dierkesfuneralhome.com, follow us on Facebook, or call our professional staff at 740-452-4551.